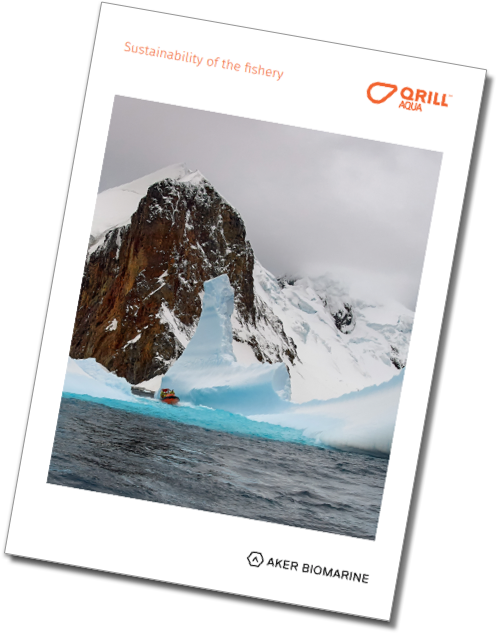 Aker BioMarine and the krill industry under the Association of Responsible Krill Harvesting companies (ARK), are starting a fishing season with a joint commitment to keep the krill fishery operations away from Antarctic Peninsula penguin colonies during the breeding season. This precautionary action is in line with the voluntary industry commitment announced by ARK in July 2018. “We have decided to voluntarily close off these areas for fishing because we believe it’s the right thing to do. Krill is abundant in Antarctica but we know that global climate change may create unpredictable impacts for predators dependent on krill. The only way to reinforce a sustainable krill management for the future, that allows for increased yield and much-needed marine proteins and nutrients to the world, is for the industry to adapt to the needs of the eco-system,” says Pål Skogrand, Sustainability Manager at Aker BioMarine. With this commitment the ARK members keep fishing efforts up to 40 kilometres away from penguin colonies during the breeding season around the area of the Antarctic Peninsula. Antarctic Peninsula will be closed to krill fishing (40 km buffer) between 1 October and 1 February. Gerlache Strait will be closed to krill fishing (30 km buffer) between 15 October and 15 February, and South Shetland Islands will be closed to krill fishing (40 km buffer) between 1 November and 1 March. The seasonal closure will pave the way for an all-year closure from 2020, of which size and limits are to be decided after a review. “Our vessel captains and crew are excited about being part of this,” says Senior Vice President of Vessel Operations, Frank Grebstad, explaining how the coordinates of the buffer zones have been put into the navigation systems of the vessels and are ready to go for the season. “This is an effort from all parts of the company to make this work, and the desire to take care of our workplace is very strong – and especially for the vessel crew who lives and breathes the Antarctic nature and wildlife,” Grebstad continues. “This is a major commitment with the sustainability not just of the krill population, but the ecosystem depending on it,” adds Dr. Javier Arata, Executive Officer of ARK. “This voluntary measure safeguards penguin populations’ access to their main food source during their most sensitive time of year”. Based on the results of this seasonal closure, further measures will be developed, allowing for year-round protection at some key areas. Antarctic krill is a key species in Antarctica and is therefore managed in a precautionary manner by The Commission for the Conservation of Antarctic Marine Living Resources (CCAMLR). There is probably no other fishery in the world where the catch is smaller compared to the estimated biomass than what is the case for the krill fishery. CCAMLR has limited the krill harvest to 1% of the total estimated biomass around the Antarctic Peninsula while waiting for more data and knowledge on the eco-system to be generated by the international scientific community. This leaves 99 per cent of the krill biomass available to other species. Sustainability has been a top priority for Aker BioMarine since day one. Our operations are certified by the Marine Stewardship Council (MSC) and 100% traceable and acknowledged as one of the most sustainable reduction fisheries in the world for the fourth year in a row by Sustainable Fisheries Partnership (SFP). In 2019 Aker BioMarine and ARK-companies will also put money on the table to support the big international scientific synoptic survey of the krill biomass in Antarctica: this will give us a new benchmark for krill data and contribute to a more solid foundation for future krill harvesting. “With the voluntary restricted zones that we implement from December 1, 2018, we limit harvesting within an area of 74 000 km2, and we do it both to help CCAMLR develop the krill management as well as a clear industry commitment on moving early to show that marine protection and krill fisheries can co-exist,” Skogrand adds.